Norwegian Company Brekke Industrier AS a moulded foam producer in Norway entered the Lithuanian marked in 2002 and Superlon Baltic UAB started production of moulded polyurethane products for the upholstered- and office furniture in Panevezys. In 2008 Mehren Holding AS became a 50% owner of Superlon Baltic UAB. Mehren Holding AS is the sole shareholder of the Sandella Group with factories and daughter companies in Sweden, Norway and Denmark. Since 1st of August 2013 Mehren Holding AS has been the sole owner of Superlon Baltic UAB, which is now a part of the Sandella Group. Mehren Holding AS is owned by Hans Preben Mehren. 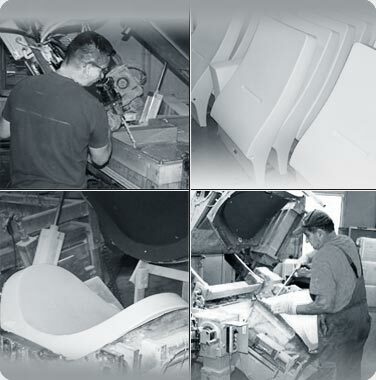 Besides the flexible polyurethane, Superlon Baltic UAB produces integral skin polyurethane foam parts suitable for automotive industry, office furniture and medical equipment. Flexible HR foam and integral skin foam parts can be manufactured in any shape according to customers’ needs. The exceptional quality of moulded polyurethane foam is that the process of moulding allows achieving the shapes impossible to achieve in a foam cutting process. Superlon Baltic UAB does not only produce the foam and polyurethane parts, we also offer solutions for furniture and other industries. Professionals with over 30 years of experience in moulded polyurethanes are ready to advice customers in product design, mould making solutions in order to make assembling of the furniture and other manufacturing operations faster, easier and cheaper. Optimal mould shapes and technical solutions save time of the finished product manufacturing process reduce labor costs and ensure maximum product quality.